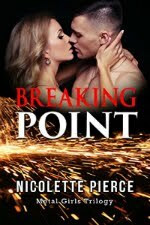 Looking for a New Year's Eve romance? Trace tackles his trouble on New Year's Eve at a very special party with a very unique woman. Hey there! How are ya’all? Good, I hope! It's the season of love, hope, and joy, and I hope you have all three—in spades! So, while I’m on the topic of wonderful things, I just wanted to take a second to fill ya’all in on my Christmas…because I know those of you who have been following my Christmas blogs are all wondering what Kayce got for Christmas this year. (I've already received inquiries. LOL) Did she get a new can opener this year? Or was it a coffee maker? Or did Christmas go in a completely new direction and bring her a new mixer, or a crock pot, or a new truck? And was it RED? Okay, so Kayce just bought herself a new truck last December, so she really didn’t need another one…and they’re pretty pricey, so that didn’t happen this year. LOL So, what was under that tree? So, mom told him last year “no more coffeemakers”. 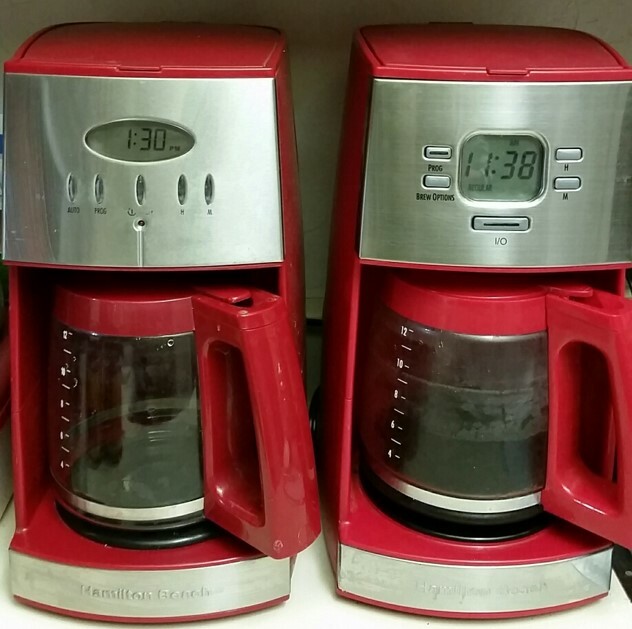 There just wasn’t room on the counter for a third red coffeemaker. And when I get up in the morning, it’s just such a challenge to put one foot in front of the other to get to the kitchen—let alone, having to choose which coffeemaker to use that day! Dustin was crushed, but he decided not to be deterred…after all, a good time was a good time. But, thankfully he understood the limitations of space on the counter and did not get me a new coffeemaker. Instead, he got me a new red can opener…like I didn’t already have one. Okay, it was a good laugh for everyone—and a good laugh is a wonderful thing—and I didn’t have to make room on the counter for it. Now we have a new Christmas, and a new gift to buy, to give, to look forward to, and to receive. What will it be this year? And will it be RED? Well, hell yeah, it’ll be RED! 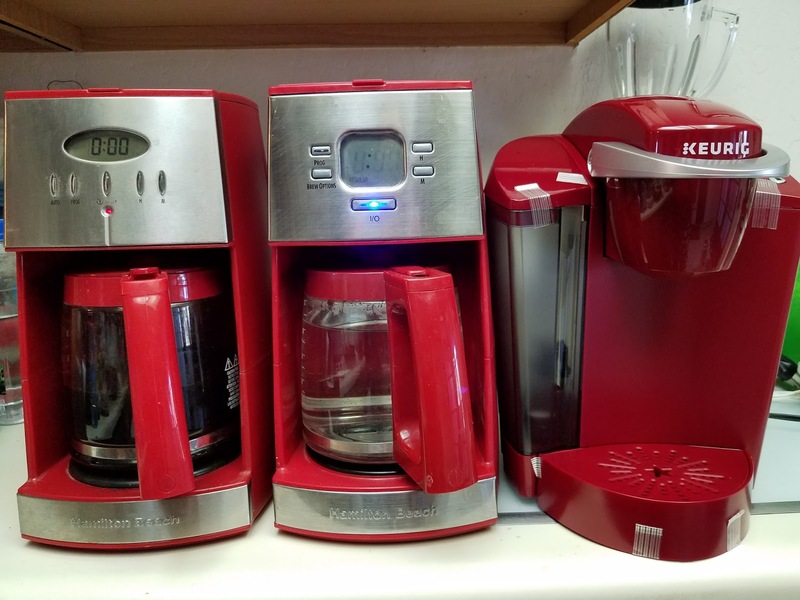 And bless his heart, my son found a way to both please his mother, and to give her yet another coffeemaker…a RED KEURIG!!!! And I freaking LOVE it! Well, folks, it’s been a great year and it was topped off with a fun and fabulous Christmas and a new RED Keurig. Now it’s time to look forward to 2018. 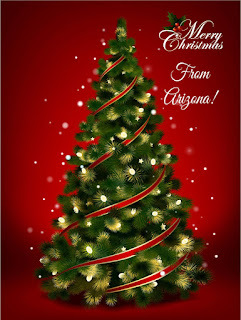 I hope you have an outstanding year ahead and that you enjoyed the story about my Red Christmas. I sooo love red! 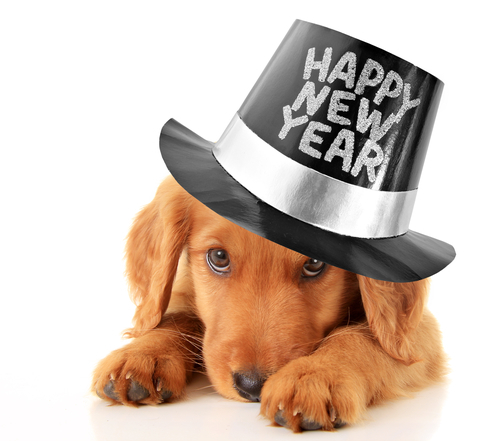 So, enjoy your New Year celebration and go into the new year with excitement and expectation. Set your goals high and dream it, say it out loud, make it happen! Stay safe, stay happy, and stay fun! That’s my story, red and ridonkulous, and I’m stickin’ to it. Hang on tight now, ‘cuz we’re gonna go real, real fast! 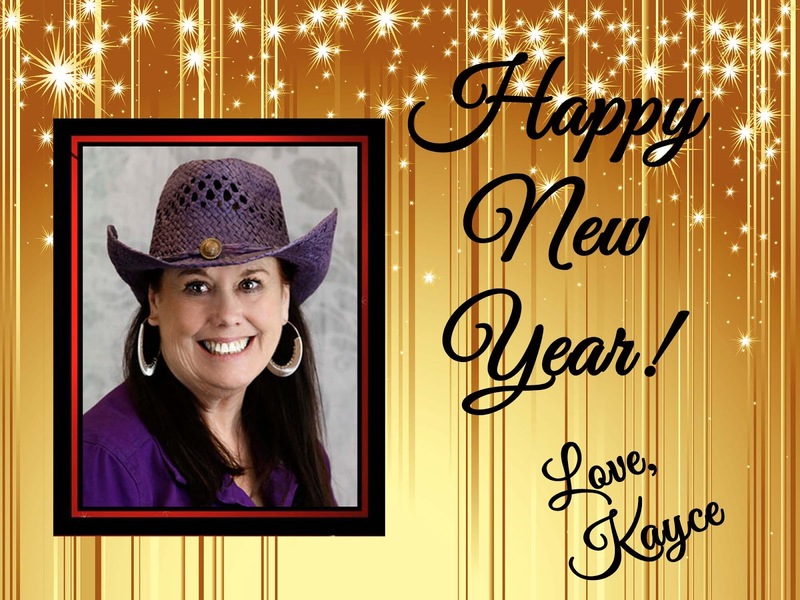 Christmas Cowboys, Christmas Spirits, a FREE Christmas story and a Kindle Fire HD8 Giveaway! 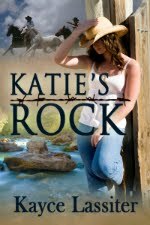 If you like cowboys I have 2 short Christmas romances available! 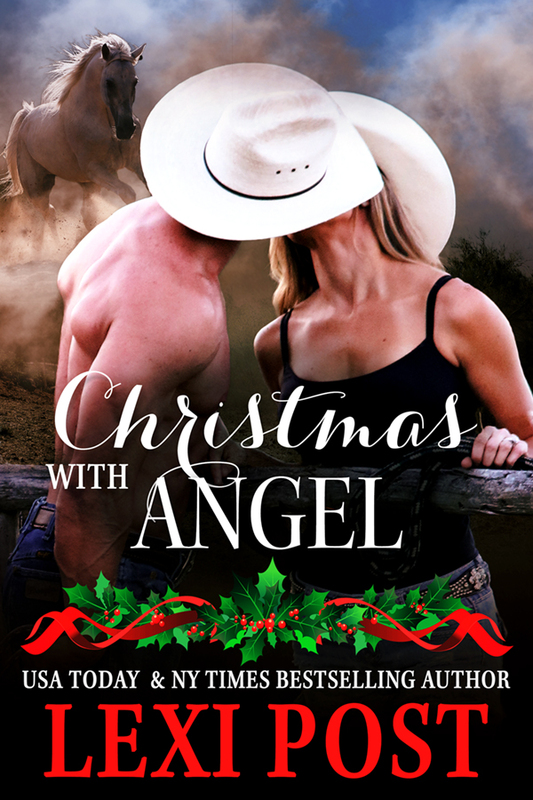 Christmas with Angel (Last Chance #1 and Poker Flat #2.5) is FREE! I've also written a Veteran cowboy story for only $1.99 titled When Love Chimes (Broken Valor #1). 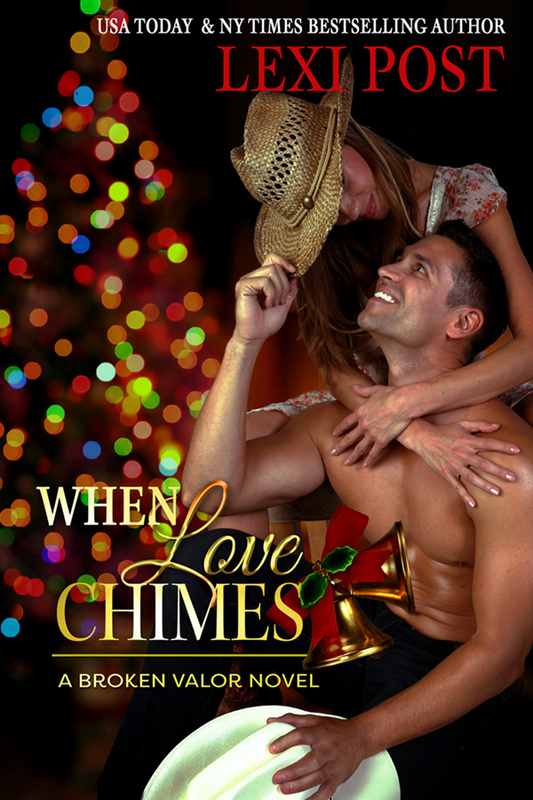 He’s the right man at the wrong time with an unwanted Christmas proposal. However, if paranormal Christmas stories are more your taste, my Christmas Carol inspired series might be exactly what you need to keep you warm at night ;-) In order, they are Pleasures of Christmas Past, Desires of Christmas Present, and Temptations of Christmas Future. Though Jessica Thomas is thrilled to land the job of novice Spirit Guide, she’s been assigned a hot, arrogant Scottish mentor who confuses her heart. But what should concern her more, is will he protect her soul? Kentucky born and bred Coco Baker has just been given the assignment of her spirit guide career, but she’s forced to partner with a Scottish upper class snob who thinks he knows what’s best for their living client. Despite him, she’s determined to do well on this case and find out what the arrogant man is hiding. Unfortunately, she discovers that sometimes not knowing is better…for everyone. Joy is paired with a problem Spirit Guide testing her positive outlook beyond its limits. Will she persevere, or cave to her weakness for him? Do you need a new Kindle Fire HD8 with 32G memory? Then be sure to enter the rafflecopter below! 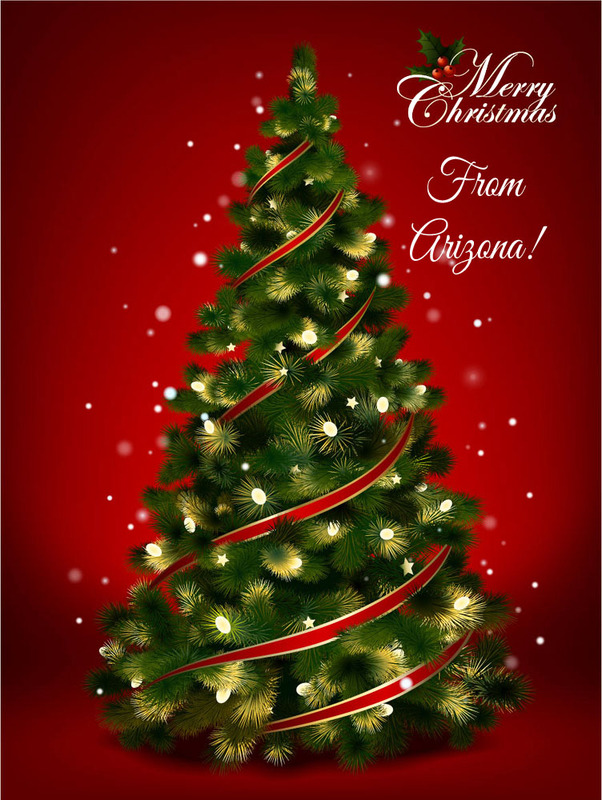 Good luck and have a wonderful Christmas!